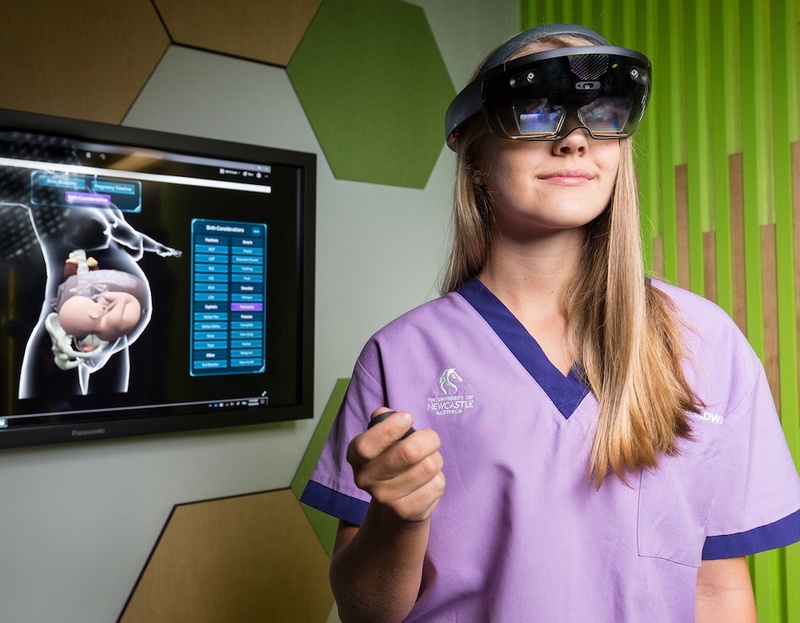 VR Training has a strong future in Healthcare Simulation, as the University of Newcastle Australia has demonstrated with two new powerful virtual reality learning programs for Oral Health Therapy and OB gestation. Lead by Lecturer Mrs. Denise Higgins (for the Oral Trainer), and Lecturer Mr. Donovan Jones (for the OB trainer) the two programs benefit learners with personal and 1st person experiences otherwise not possible through other learning mediums. The University’s Newsroom recently covered these two innovative programs which we are highlighting today. 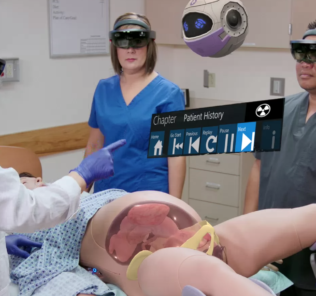 Last week we covered some of the latest trends in VR for healthcare simulation, but these applications are so relevant they deserved their own special consideration! The program, a collaboration between the University’s IT Services Innovation Team and School of Health Sciences, aims to bridge the gap between the classroom and clinic to ensure students are confident and capable when administering delicate anesthetic needles. Utilizing an Oculus headset, the wearer is transported to a virtual dental clinic, where a patient awaits a procedure. Students can access a range of scenarios, including procedures requiring palatal injections to the roof of the mouth and interdental injections between the teeth. A target point gives students the ideal mark to place the needle and a virtual gauge displays the milliliters being administered once the user engages the needle. “What’s fantastic about this new program is we’ve been able to replicate typical scenarios an oral health practitioner would perform on a daily basis – things like administering dental injections in areas that would help anesthetize nerves for pain management and patient comfort,” Mr Williams said. “Simulation is a wonderful teaching resource as students can participate in a controlled, standardized and safe environment. They can stop the simulation at any stage to review their progress or if they need to turn to teachers and peers for support. “We hope the tool will be useful on a global scale and may eventually apply to anyone working in the field.” No stranger to innovation, Mrs Higgins has worked tirelessly with the Health Sciences team at the University of Newcastle to revolutionize the Bachelor of Oral Health Therapy in recent years, introducing ground-breaking new equipment to complement student studies. Acting Head of Discipline, Associate Professor Janet Wallace, said the steps the University was taking to introduce simulation into the curriculum was solidifying its position as a leader in this field. “Students are really benefitting from the fact that the equipment they’re using is new, different, and fully interactive, and it is supporting their theory with practical experience. It’s visual, can give them feedback on their efforts, gives them confidence and a competitive edge when they enter the workforce,” Associate Professor Wallace said. “We’re encouraged to think outside the box and implement new ideas to enhance teaching and learning here at the University of Newcastle, and I am proud to say I work alongside some of the brightest minds in Oral Health,” Mrs Higgins said. Through the use of a digital headset, Road to Birth takes users on a journey through pregnancy, depicting a life-size female figure in front of them, whose gestation can be explored and observed. Incorporating a pregnancy timeline, key anatomy and circulatory systems, as well as expert commentary from experienced midwives at each stage of pregnancy, users can employ the program to investigate the internal changes as the baby develops. A collaboration between UON’s School of Nursing and Midwifery and IT Innovation Team, key features include crucial birth considerations like the baby’s orientation and placental positioning. With childbearing and postpartum stages challenging to teach with current resources, Road to Birth offers students a world-first opportunity to follow a detailed, realistic and 3D figure through a pregnancy without any visual barriers. Project lead and Lecturer in Midwifery, Mr Donovan Jones, acknowledged the delivery room could often be a dangerous place, with common issues such as the incorrect positioning of the placenta having the potential to be catastrophic. “At the moment we teach with dolls and pelvises, and I can tell you firsthand from being a student as well as an educator, the position of the placenta is one of the hardest things to learn, and yet it’s absolutely one of the most imperative things to know. “If a midwife can’t identify its position and lets the woman go into natural labour with the baby obstructed, the baby’s life is at serious risk – simple as that,” Mr Jones explained. “The scope of Road to Birth is clear, with its impact having the potential to reach a global audience, from students and health professionals in cities and remote locations, to expectant parents wanting to understand more about their pregnancy. Keen to continue the evolution of the application, Mr Williams said Road to Birth’scapability would evolve to meet the needs of future users.